Moisture Management. Double welt rib collar. 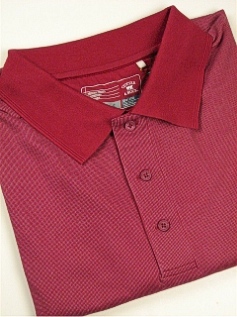 3-button placket. Dyed to match logo buttons. Open Sleeves C&B Pennant. X-Silky.